A compensation may not settle their grief, however, a couple based in Karnataka has been granted justice after the consumer court granted then a compensation of Rs 13 lakh on a case of medical negligence. 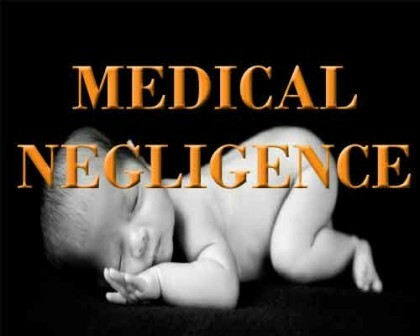 The judgment comes after 6 years of case hearing, when their newborn died in a private hospital due to alleged medical negligence. The Karnataka Medical Council has also come forth on the issue sternly warning the two doctors allegedly involved directly in the case. KMC has further assessed on the case that the gynecologist conducting the procedure does not have a registered post graduate qualification. More gravely, she did not assess the mother for vaginal birth after Caesarian section and allowed VBAC even though it was not completely in favour. Thus, no proper decision was taken to find a caesarian section. As reported by Hindu, The 4th Additional District Consumer Redressal Forum, Bengaluru, in its January 1, 2016 order, has directed Fortis Hospital, Bannerghatta Road, and two gynaecologists — Latha Venkataraman and Prabha Ramakrishna — to jointly pay Rs.10 lakh compensation with six per cent interest from 2011 (Rs.13 lakh in total) to the “agonised” couple. The forum also directed the hospital to refund Rs. 2.59 lakh, which the couple had to pay towards expenses. Ms. Rashmi approached Dr. Venkataraman for the delivery of her second child in January 2009, and the doctor found her suitable for VBAL as she had given birth to her first child through caesarean-section in 2004. The doctor, an expert in difficult deliveries, promised Ms. Rashmi that she would personally handle her delivery. However, Ms. Rashmi began experiencing uterine contraction in the early hours of March 4, 2009, and was admitted to Fortis Hospital as per the doctor’s prior advice. It was alleged that Dr. Venkataraman visited her in the hospital only for a brief period at around 7.15 a.m. that day. Later, Dr. Ramakrishna handled the case, and Dr. Venkataraman returned to the hospital after the baby was removed through caesarean-section. Several medical complications, including an indication of foetal asphyxia and uterine rupture, cropped up and Ms. Rashmi was in pain from 7.15 a.m. to 1.50 p.m. The baby was removed through caesarean-section only at around 2.33 p.m. due to delays in decision making and failure to keep the operation theatre on standby. It was alleged that though the baby did not cry or breathe after the removal, the limp body was kept in ICU on ventilator, and removed on March 16. All the allegations were denied by the hospital.